A foodservice exclusive! We add extra egg yolks to our trade secret Hellmann's REAL recipe for an extra-thick, extra-curdy viscosity that foodservice professionals appreciate. 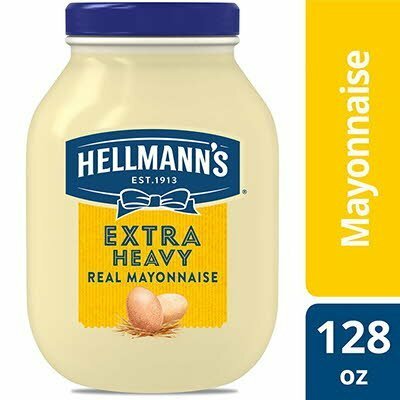 This thicker, more eggy mayonnaise is preferred by some chefs for adding extra-rich flavor and texture to sandwiches and for use in demanding recipe applications. Stands up best to demanding food preparation due to its thicker, superior emulsion, has the ability to withstand heat without oil separation and has excellent browning ability. Hellmann's is only mayonnaise to receive the prestigious Master Chefs’ Institute Seal of Excellence.